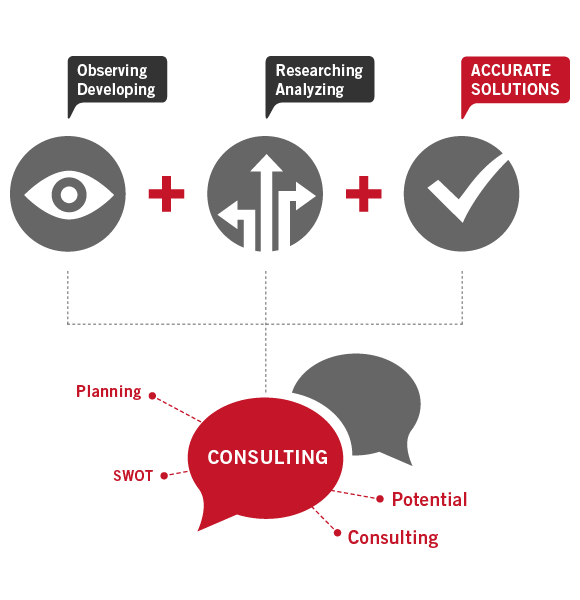 Consulting is the process of observing, analyzing and responding with accurate solutions. Our precise methods aim at the sole target of bringing solutions by using or altering existing resources. Our team of experts focuses on finding solutions to your current issues, but their impact should be equally benefitial to your company in the future. Re-opening a closed issue or producing further problems is not a functional model for us.